What is a Looks Like/Sounds Like Chart? 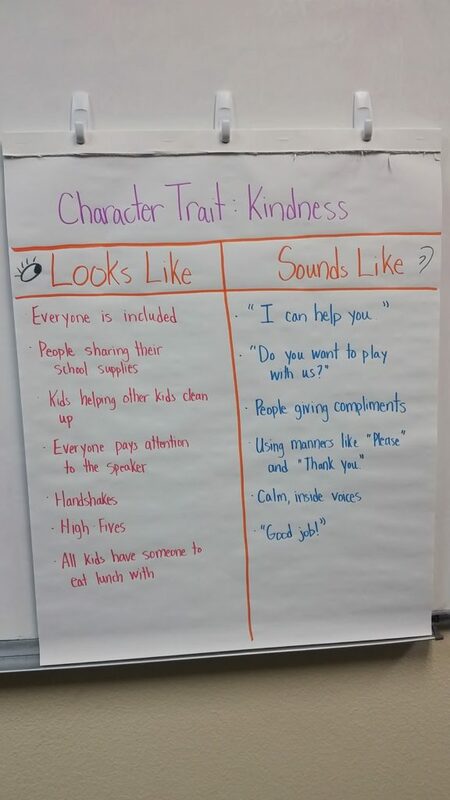 A“Looks Like, Sounds Like” anchor chart is a great way to discuss character traits or academic traits that you’d like to emphasize in your class. What Age/Grade Range is Appropriate for This Activity? I especially enjoy the effectiveness of this activity for students in Grades 2-4. 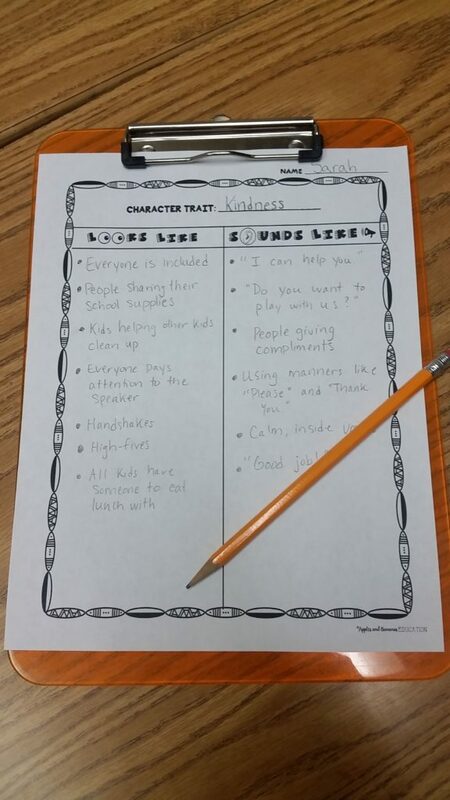 You can do this with younger students as well, but they need more prompting and you may need to use simpler character traits. How do I Make A Looks Like/Sounds Like Chart with my Class? Create a two-column chart. On one side draw an eyeball (for “looks like”) and on the other draw an ear (for “sounds like”). I like to do this activity after reading a book related to the character trait, but it’s not necessary. You may want to emphasize an area that your students are struggling with. It’s a great re-centering technique to direct your classroom management in a positive direction. • One person is talking at a time. After you have finished gathering student responses, be sure to add any that may have been left out. I highly recommend jotting down a few of your own ideas before doing this lesson, as students sometimes need a push in the right direction, especially the first time you do this activity. Some kids will mention negative traits, so you will constantly need to redirect to what the trait DOES look and sound like. If you are discussing honesty and a student says, “It sounds like people not telling lies,” try to rephrase this to something like, “People are telling the truth.” Keeping the language positive will make it easier after you have completed the lesson. What Happens After We Have Completed the Activity? Include whichever traits you would like to. Again, this is a good activity to do when you notice your students struggling with a certain character trait. Click here to grab a free looks like/sounds like chart. Have your students fill out the chart as a way to “take notes” on the trait, or use this as an independent/partner activity to reinforce what you have discussed as a whole-class.